Writing The Low Budget Screenplay: Part 2 Deviation: The First Review Is In! 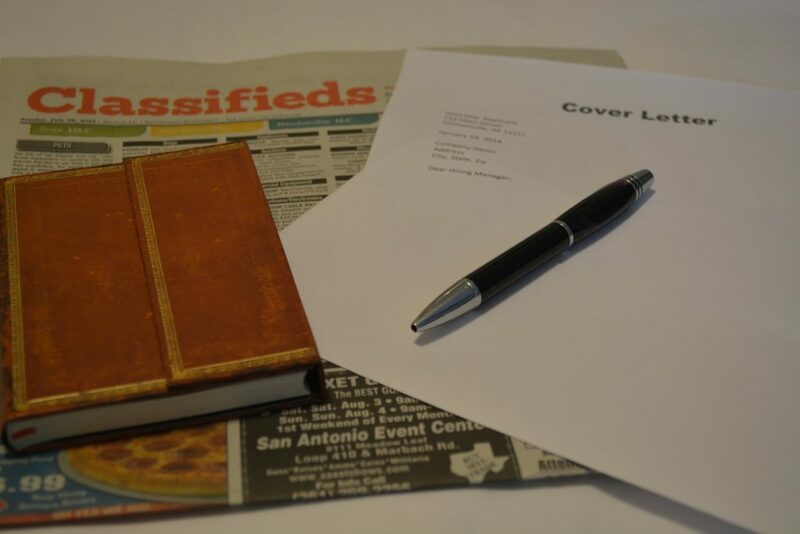 What should you put in your writer resumé? 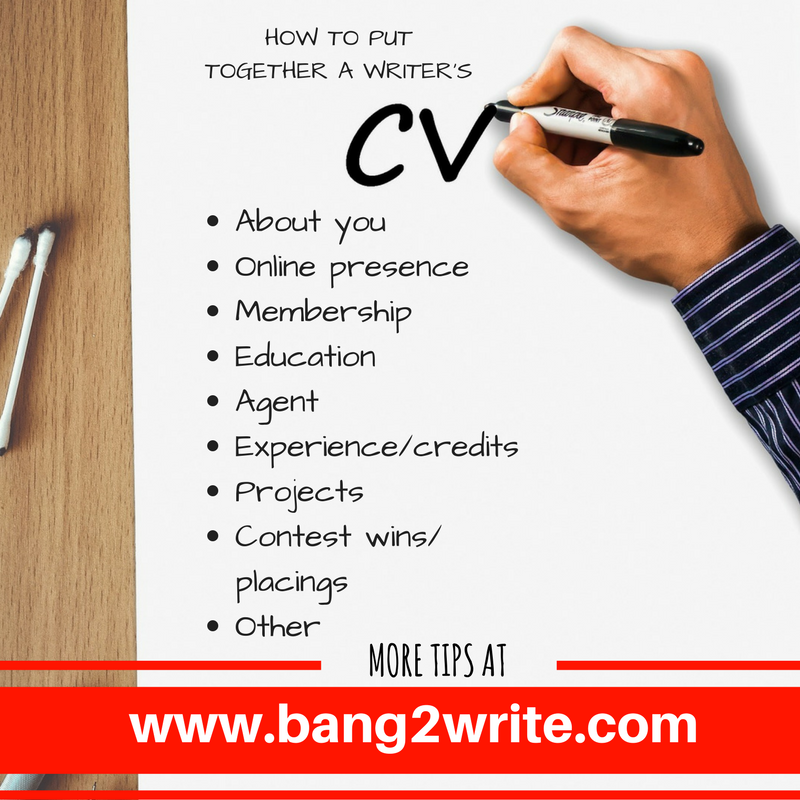 So, over in the Bang2writers FB group, Gail asks: “How do you put together a writer’s resumé? What should go in, what should be left out, what counts as relevant experience?” This is a great question I get all the time, so warrants a lengthier post. Of course, there is room for personal preference too. I like to put my name and jobs (“Script Editor and Novelist” at the top in larger type, putting my address, website and contact details in a little box on the right hand side. I then seperate each “section” with a line. Basically, lay it out HOWEVER YOU WANT as long as it is a) simple and b) does not affect “readability”. So that’s the dull stuff out the way. So what else could go on your writer’s CV? What Should You Put In A Writer’s CV? A short intro about you is nearly always MISSING on CVs I see and I think it’s a real shame, since this is a GREAT opportunity to really sell yourself off the page to whomever’s reading. Give them an insight into WHO YOU ARE. Mine reads “Straight-talking, web savvy Script Editor with an eye for structure” as a sub heading and underneath there is a short paragraph about my various interests, such as challenging gender stereotypes, social media and event organising. I prefer to write in the third person because I’m BRITISH and saying it in the first feels like BOASTING to me, but if you’re more sensible and don’t have the same hang-up, either is fine. (NOTE: this bit should always be first in my opinion, though the rest on this list could be any order I think, as long as it reads well/is logical). Do you have one? If so (and you really should), put your website, your LinkedIn, Facebook & Twitter idents here too. If you have a particularly popular blog, why not include something like its daily hit rate? Perhaps you’re well known online for things like #scriptchat on Twitter – why not include that. Maybe you have a large FB group or participate in discussions online a lot – why not link to such an example, if appropriate? Basically you just want to show you’re an active part of the online scriptwriting “community” and not afraid to get out there. If you belong to The WGGB, here is the place for it. Similarly, list here any other clubs or writing societies and if you organise it, make sure you note this, here! If you have a BA or MA in scriptwriting, obviously that should go on. But so should short courses like Guerilla Filmmakers’ Masterclass and yes, things like London Screenwriters Festival. A couple of lines about the course, listing elements you feel you did well in or have a particular interest in (ie. networking, speed pitching, TV writing, one page pitches, writing for radio, feature writing) and any relevant results (if appropriate) would be good here. With space at a premium, I would recommend not bothering including stuff from school, college or university unless it’s RELEVANT. So, for example – if you did English Literature and Language and got a first class degree? That’s impressive and shows you potentially have mad writing skillz. On the other hand, a degree in IT, whilst very useful, probably could do with being missed out. It is however up to you. By the way, back in school, I remember the careers guidance people advising us to put our education on our CVs FIRST. This might be good when one is a “newbie” (screenwriter or otherwise), though it’s probably a good idea to list experience first if you’re more “seasoned” and have a few collaborations or credits under your belt. Do you have one? Make sure you put it somewhere on your CV. If not, just ignore this bit. Again, keep it relevant: this is your WRITER’S CV, not your “normal” CV. So here, I’d say don’t bother listing your seasonal job at the cafe when you were a teenager or the fact you’ve spent the last ten years growing cultures in a lab in Borneo. So, if you have credits, great – stick ’em down. But equally, even if your collaborations, options, commissions and whatnot have come to nothing… STILL PUT THEM DOWN HERE. Do not hide your light under a bushel. If you worked on them, those projects EXISTED. Don’t pretend they never happened. Here, make a list of your specs. I would recommend having between 3-6 here. List title, genre, plus a short logline. If you have had any interest, contest placings/wins or good feedback, list that here too — but keep it brief! If you’re a contest pro with MANY placings, you may want to create a whole section just for this. Things like getting through the second round of the BBC Writers’ Academy, The Red Planet Prize, various rounds of The British Screenplay Competition and placing in US biggies like Bluecat, Scriptapolooza, Final Draft Big Break, etc could all go here. Getting into various selective workshops, initiatives (like LondonSWF Script Labs) etc also count so make sure you note them. “Normal” CVs say boring stuff like “clean driving licence, excellent telephone speaking voice, computer skills” – YAWN! Think outside the box on this one, give them a flavour of who you are, make them remember you! Have you ever been stuck in a lift with a celebrity? Perhaps you sat in a bath of beans for three days for Comic Relief? Whatever, just put something. Mine at the moment says that I’m related to the guy who pulled the longest tapeworm ever out of a cow (true story). If that doesn’t appeal, maybe you could write about your SPECIAL KNOWLEDGE here… ‘Cos we all have some. If you’re a stay-at-home Mum or Dad of fifteen years’ experience, you “know” kids and how they sound; if you were a policeman on the beat or a nurse in A&E, you *know* conflict; if you work in construction, IT or local government you also have a wealth of knowledge… As does every single person who’s worked in a supermarket, a factory, a school or hair salon. Don’t do yourself down, there’s stuff YOU know that other people don’t that HELPS your writing – so figure out what it is. What a useful post, I have bookmarked and am defo goig to get mine done in the next month. Bang2write strikes again. Thanks so much for this great post! I am really loving setting out my cv, becoming a typographical nerd! Thanks Lucy, very useful stuff. I've just put together my CV for a competition and wouldn't have known where to begin! Thank you. 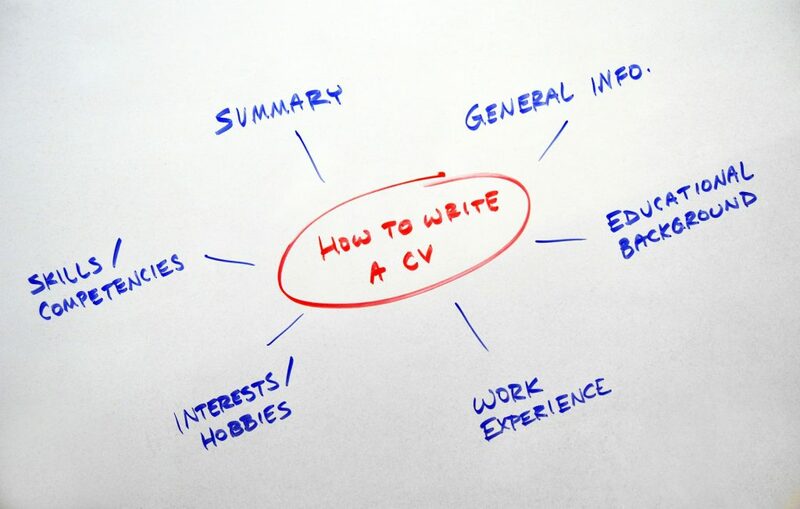 Good hints for CV’s. I shall certainly improve mine now. I think you hit the nail on the head when you mentioned you liked to write in 3rd person rather than 1st. Could that be because I too am a Brit? Perhaps we are just a modest lot! Haha I think you’re probably right! But never hide your light under a bushel I say, however uncomfortable it is – but if you won’t bang your own drum, who will?? Great post, very useful, thanks a lot for posting. Hi Lauren, you’re very welcome – this is a good idea and one I will definitely have a think about including in the Resources section of The Required Reading List when I get chance. Watch this space! This is super helpful. A great big sluice of thanks to you, Lucy. I have one question, though (if I’m not taking a mile here): from the screenwriter’s CVs you’ve read, may I ask how much of their non-screenwriting work featured in the CV? If any at all, where would it generally sit from the categories you mentioned? I know you advised leaving out the Borneo lab stints, but perhaps there is something to be said for writing achievements in non-film areas? I am reluctant to pollute my modest screenwriting background with mentions of copy writing or freelance journalism; but then, I have had some press releases published in decent places and won a poetry prize once too. Oo. Have I answered my own question? But any advice and I’ll be full-on Suez with gratitude. Though i get some idea about script writing technique. but i need a sample copy of resume. You’re welcome, Brenda! Magazine articles, freelance journalism etc should have its own section, sure. I might give a brief list of the publications you’ve appeared in (that’s what I do, in fact). I probably wouldn’t bother with the school prize if it was a long time ago (5 years+) UNLESS it was a “big” deal, ie. one of those children of courage awards.